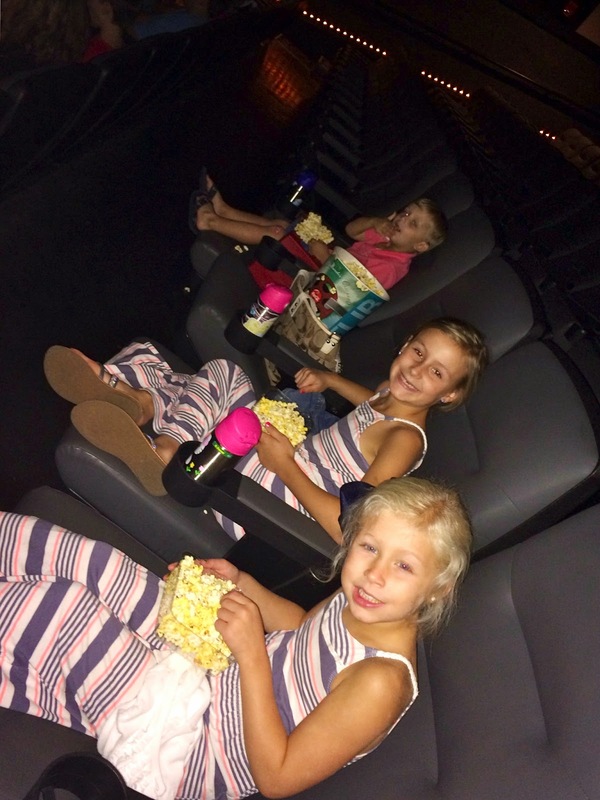 My kids love to go to the movies! The whole experience of seeing the movie, eating popcorn, and getting lost into the story is so much fun. I've actually been taking all of them to the movies since very early on. I started out with the free summer movies (now summer $1 movies) specificlly for kids when they were really young and then we eased our way into more entertaining (and more expensive) experiences. But I'm sure I don't need to tell y'all, going to the movies is expensive and that is why we usually save that outing for a special treat. 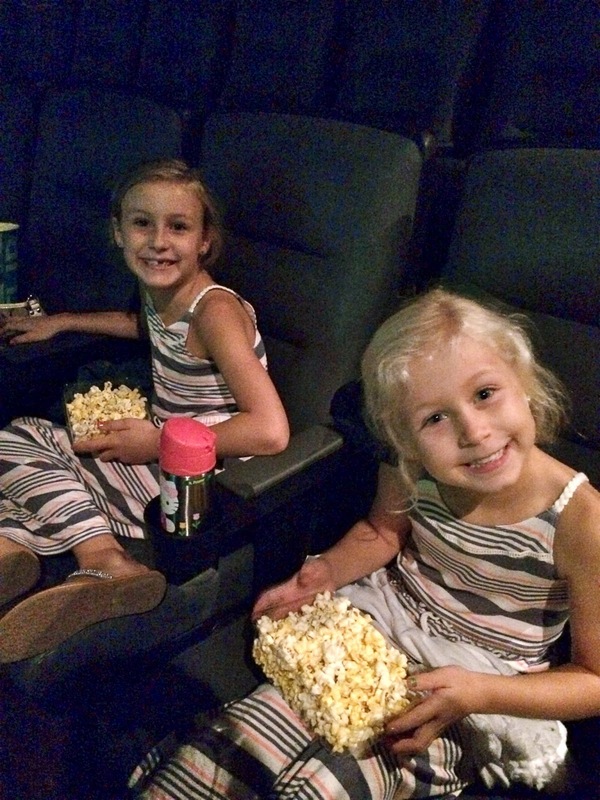 When Little Mama filled up her reward jar last week she knew exactly what she wanted to pick as her treat - a trip to the movies. One of her best friends from school loves dolphins and so naturally, Little Mama's love and knowledge of dolphins has grown, too. We saw the preview for the new Dolphin Tale movie a few months ago and it looked cute so she was excited to be able to talk to her friend about the movie. Since my kids are off on Fall Break this week I knew that would be the perfect time to go. They talked about it all weekend long and since we had never seen the first movie, we borrowed the DVD from Little Mama's friend so we would be prepared for yesterday's viewing. The movie was precious and I do recommend it for older children. Boo Boo liked it and said on the way home how he liked seeing the dolphins, but it definitely didn't hold is attention as well as a cartoon would have. The girls, on the other hand, really seemed to enjoy it and we all loved the story. I didn't realize until recently, but the movies are based on a true story of a dolphin named Winter who was trapped in a fisherman's crab trap and rescued only to loose her tail and eventually have it replaced with a prosthetic tail. 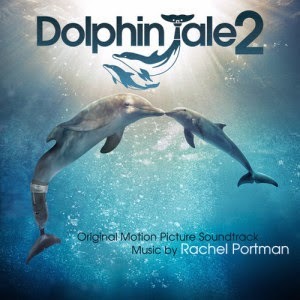 The first movie highlights the unlikely friendship between the dolphin and a boy that was her rescuer and this most recent movie continues the story as the people who saved Winter's life try to find her a companion dolphin so she can remain at the marine hospital where she lives. It's a story of hope, courage, and friendship that will melt your heart and put a smile on your face. As awesome and sweet as the movie was, today I spent $40 on the 4 of us to see the movie and eat popcorn. Yikes! One thing I always do is bring a big purse with their waters so we don't have to buy drinks and we sometimes bring our own candy, too. I always splurge for the giant popcorn tub though because let's be honest, what's a movie without popcorn?!? Also, I've found that with enough popcorn, Boo Boo's focus on the movie will last longer. See what I mean? 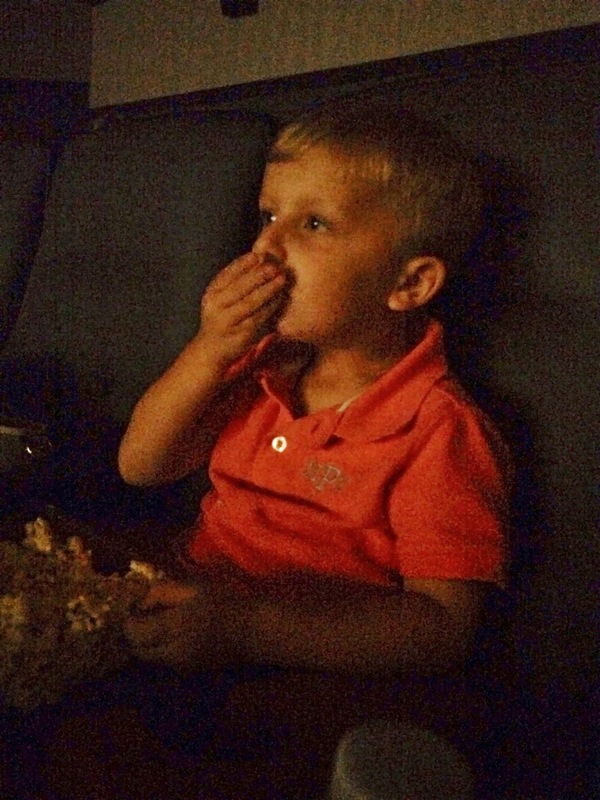 :-) Here he is in a popcorn induced, movie-watching coma! At most theaters the largest size usually comes with free refills and we take full advantage of that. (Today I refilled once and probably could have gotten a second refill, but I figured I needed to cut them off at some point.) Another thing that they have at every theater we have ever been to are clear, plastic little trays for the popcorn. Be sure to ask for them next time you take your kids because it really cuts down on the arguing over who will hold the giant popcorn and instead I give each kid a plastic tray and just keep refilling it when they eat it all. Of course during the previews today we saw a few other cute movies that will be coming to theaters soon, so I'm sure one of the kids will be choosing a trip to the movies again in the near future!